Display Ads, Postcards, Tri-Folds, Certificates, etc. 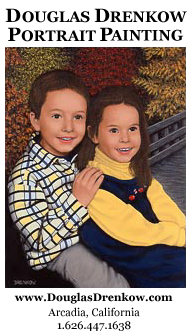 Please visit my online gallery of portrait paintings. 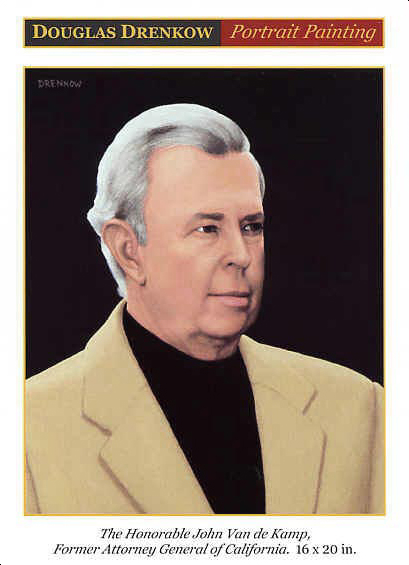 The front of this postcard displays one of my most notable subjects: former California Attorney General John Van de Kamp (a true gentleman, whom I met through my political work). Please click image to view a sampling of the black-and-white and four-color ads I created and posted in the “Home” section of the Los Angeles Times and in other Southern California periodicals, particularly those targeted towards upscale homeowners. Please click image for full-size copy. For my portrait painting, I created various banner ads, in keeping with the size limitations of the posting sites — from 180 x 72 pixel ads with just my logotype, to the full 468 x 60 pixel version, with thumbnails of portraits. Please click image to view both sides of the tri-fold. 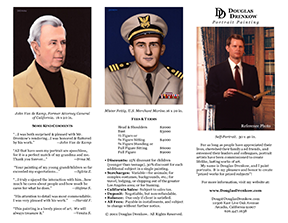 For my portrait painting, I designed this six-panel brochure, which could be folded and mailed in a standard No. 10 envelope, to present examples of my artwork. In addition, there is much copy: an introduction to whom portraits portray and why they are commissioned, composing a portrait, my materials and methods, the finished work, some kind comments, fees and terms, and contact info — including the URL of my Web site. 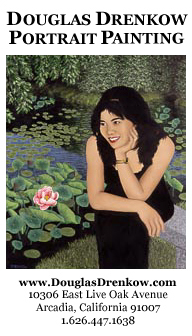 Please note that the front cover art, a self-portrait, has yet to be completed (what is shown here is a composite reference photo); and a painting on the back is blurred here, in deference to the subject’s wishes. Please click image to view larger copy. Please see my portrait site for more information. This and the gift certificate (below) were composed from 19th Century, copyright-free elements. Please see my portrait site for more information. This and the certificate above were composed from 19th Century, copyright-free elements. Please click image to view full-size copy. 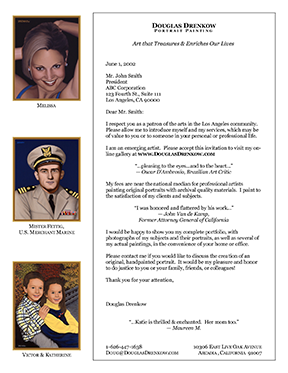 The stationery presented not only my writing, including quotes from satisfied clients and subjects, but also a “gallery” of my paintings.